John of Gaunt left a surprisingly large number of great great grand-children (202+; see http://www.thehistorydatabase.com/DESCENDANTS/John%20of%20Gaunt%201st%20Duke%20Lancaster%201340-1399.HTML) including King Henry VII. The number of male descendants alive in 1483 is more than a precious few. Its a surprisingly large number. Buckingham’s Rebellion in 1483 took its toll as did Bosworth 1485. None of the above was patrilineally descended from John of Gaunt. 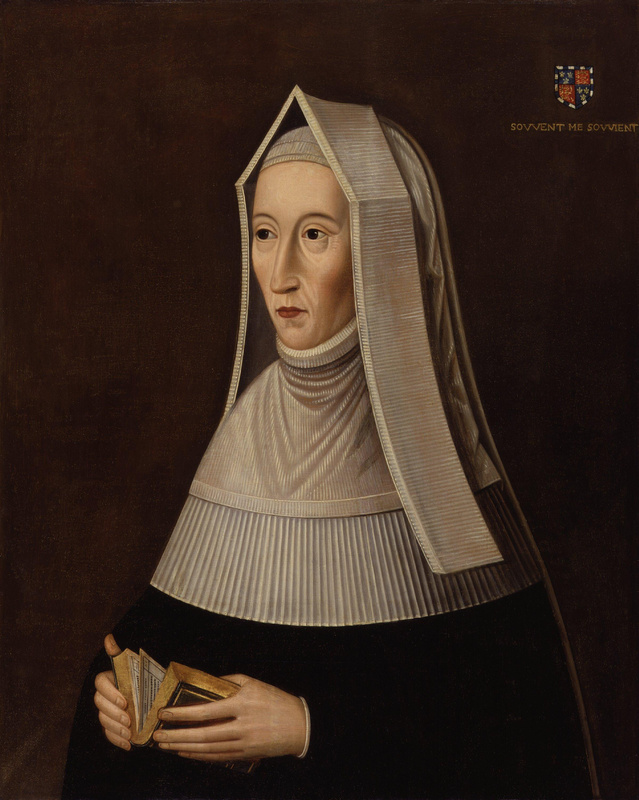 Henry Tudor’s line included one female: Margaret Beaufort. 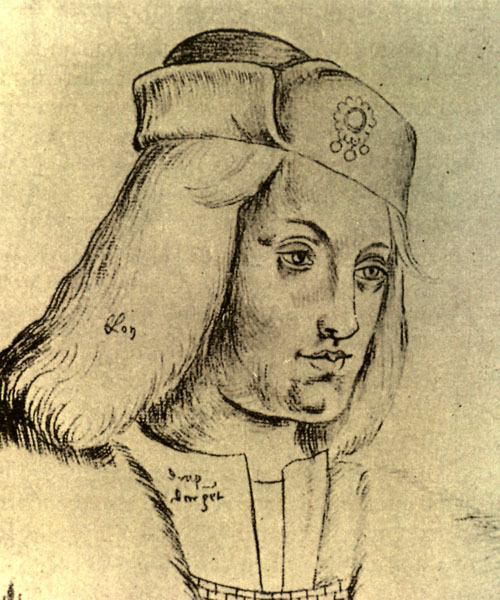 The Stewart boys, James III and his brothers Alexander and David included one female: Joan Beaufort. 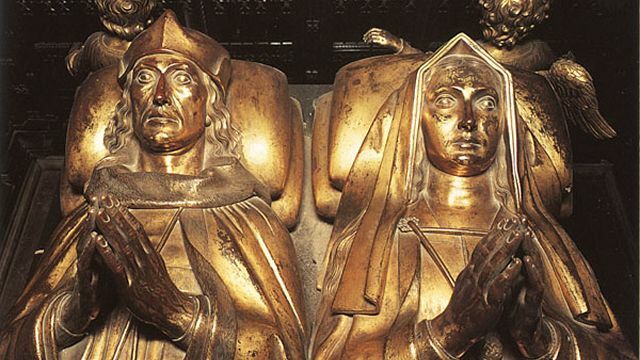 Henry Stafford, 1st Duke of Buckingham’s descent had one female, Margaret Beaufort. If order takes precedence then the Portuguese and Spanish descendants of Philippa of Lancaster should take precedence: John II King Portugal is higher in the order and has only one female. A foreign monarch would, perhaps, not have gained popular support. George Grey 2nd Earl of Kent is higher in the order as is Ralph Neville 3rd Earl Westmoreland but both have two females in their descent (Elizabeth of Lancaster, and Constance and Anne Holland). 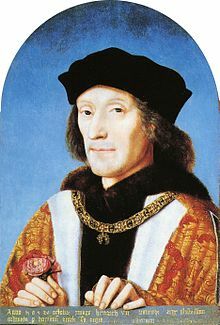 It appears Henry VII’s claim to the throne was based on having the fewest number of females and being the highest in order of precedence. His illegitimate descent notwithstanding. I was nervous reading this, I included so much history in the Royal Command series, especially book one. Thankfully, no errors or disagreements have emerged. It’s a fascinating article and I’m delighted Rebecca re-blogged it so it came to my attention. Interesting post for lovers of history. 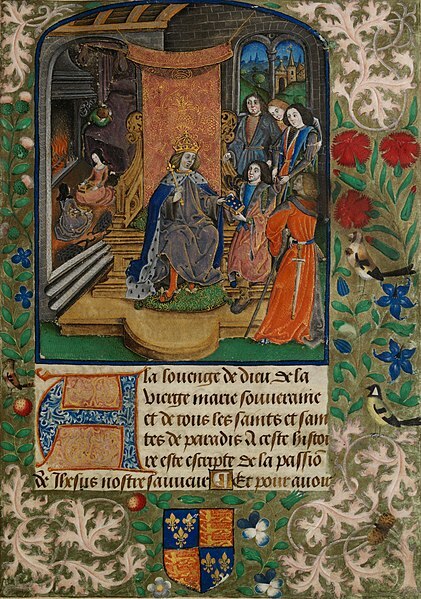 As much as Henry loved his Elizabeth, he held up her coronation until after she bore Prince Arthur. Elizabeth’s claim to the throne was much stronger than Henry’s. (His strongest claim was by right of conquest.) Henry’s royal progenitors, the Beauforts were engendered while John of Gaunt and Katherine Swynford were lovers. Gaunt was then married to Catalina of Castile. Only after Catalina died was Gaunt able to marry Katherine. He managed to get his four children by her legitimated by the Pope, and confirmed by Richard II. Many never considered the Beaufort line truly legitimate, especially Gaunt’s son by Blanche of Lancaster, who became Henry IV. 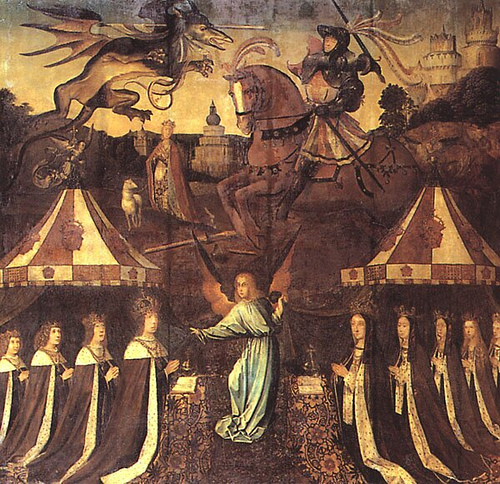 Henry even tried to make it unlawful for the Beauforts to be in line for the throne. Henry lV needed the Beauforts, but he was determined they would not usurp his own children’s rights. At the time, with Henry’s lV’s four sons, it hardly seemed an issue. Because of this, and Princess Elizabeth of York being the eldest daughter of Edward lV, Henry Vll was making certain she would NOT be crowned until she bore him an heir. Arthur was key in helping Henry Vll keep his throne with the least contention. (Warbeck & Simnel were only TWO of many thorns in Henry’s side!) 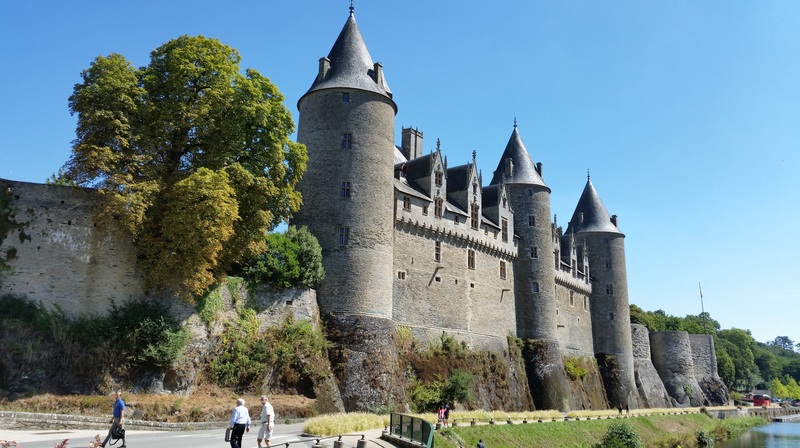 A truly legitimate Prince of Wales was Henry Vll’s security blanket. Henry was adamant that HIS was the best claim to the throne. It probably irked him that the woman he loved and needed was also seen by many as the real monarch. Only the fact that England was never truly ruled by a woman in her own right made it possible for him to keep power in his hands. (Empress Matilda tried, but only succeeded in having her son be Stephen’s successor.) No one expected Elizabeth to be capable of ruling, so many of the grumblers had to give Henry a pass. Henry was fortunate that Elizabeth was content to be a traditional medieval queen. Pious, obedient and happiest in the domestic areas, she didn’t rock many boats. Elizabeth’s dying put Henry on high alert. His last surviving son (later Henry Vlll), was put into near house arrest. Part of this was to ensure his safety from disease or accident. Another part was to keep him from the hands of those who would use him to make a grab for the throne. Young Henry liked fun & fine living. Many probably thought him a soft touch & easy to manipulate. It was a tenuous time and young Henry chafed at the restrictions. When the King died, young Henry whisked Katherine of Aragon to the altar, started spending his father’s carefully garnered money, & lived large! But he proved dangerous to hopeful manipulators! No doubt Henry Vll loved his Queen. But due to the succession questions it behooved him to be faithful & keep his nose clean. To cheat on her during their marriage would have put live ammunition in the hands of his detractors. Whether or not he was prone to mistresses, like his son, Henry Vll walked a tightrope his entire reign. Best take the safest course! LOVE the Lancaster/York controversies! I do admire Henry & Elizabeth for bringing a great deal of closure! But the controversy really didn’t end with the first Tudors. 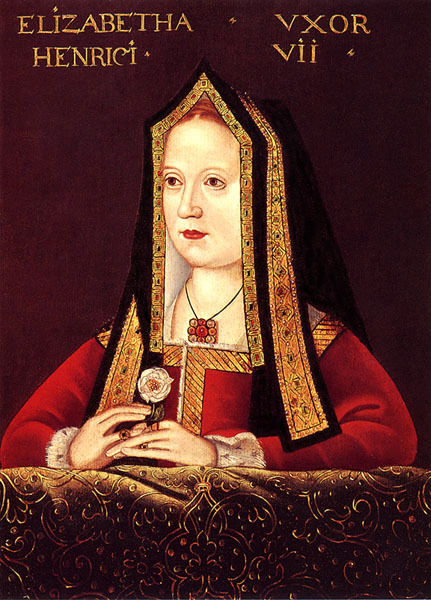 Remember Margaret of Salisbury! Susan, this was another excellent and interesting article.